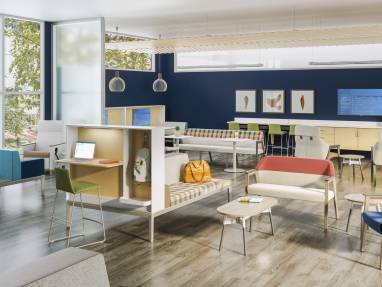 With its inviting design and variety of materials, the Embold Collection of seating and tables creates a welcoming, expressive environment. 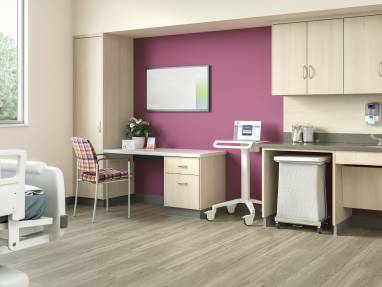 Convey provides an elevated level of choice, quality and design flexibility to support ever-changing healthcare environments. 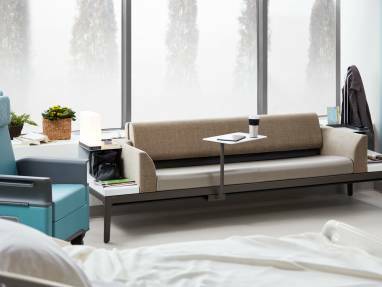 With the flexibility to serve as a sleep surface or sofa, Surround offers family members a place to feel supported in the patient room. Listen in on a thought-provoking conversation with Stacey Chang as he explores new ways to deliver care that is centered around people. 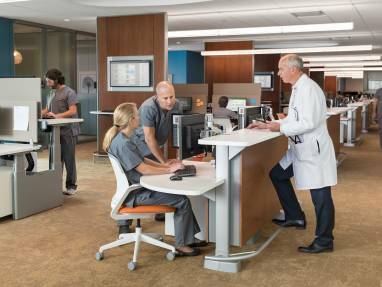 How do you design for dynamic and ever-changing healthcare environments? 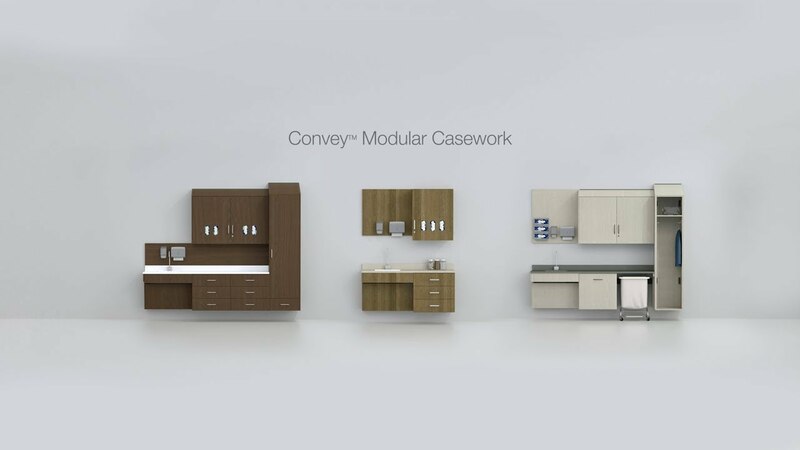 Convey responds with an elevated level of choice, quality and design flexibility. 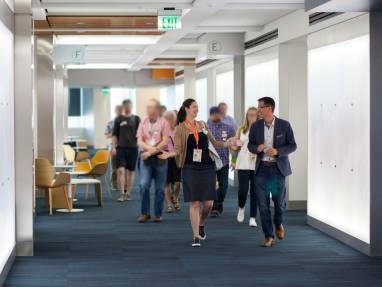 Steelcase Health shares insights on how to evolve and actively support exam and waiting spaces. When families are invited to move beyond a visitor role, their involvement can lead to better patient health, higher customer satisfaction and improved outcomes. 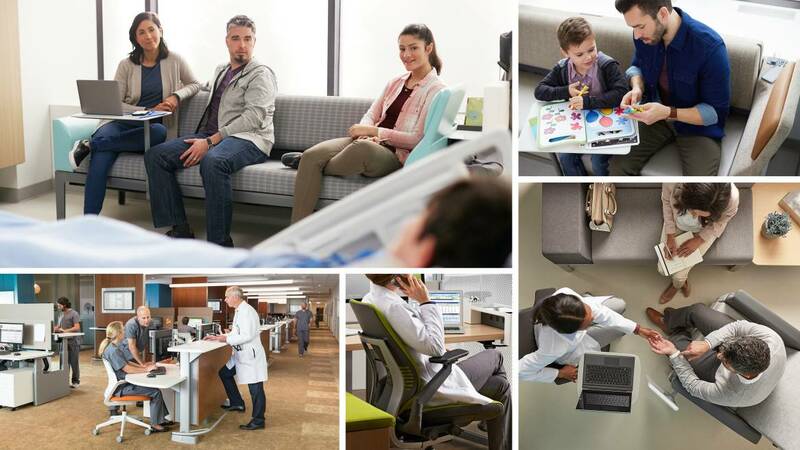 For more information, contact Customer Care or Steven Knippen, National Accounts Manager – Steelcase Healthcare. 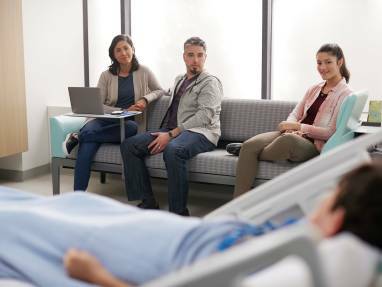 Steelcase has a GSA Multiple Award Schedule that features products applicable for virtually every area within a healthcare environment. Access our product portfolio through GSA Contract GS-27F-0014V. 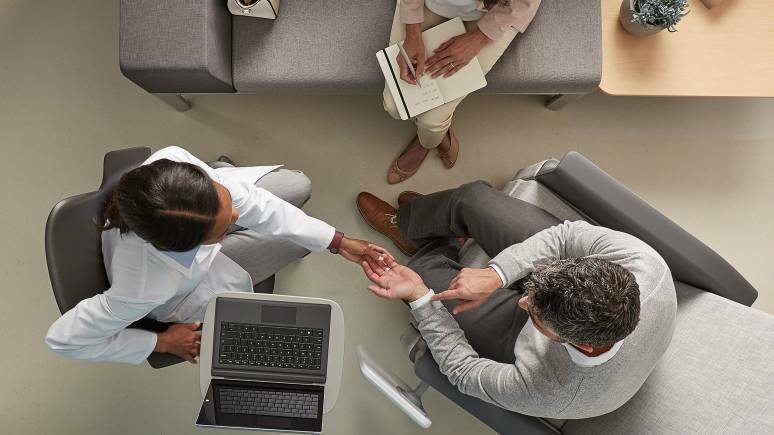 Steelcase Health is proud to be the educational partner for The Center for Health Design and the Evidence-based Design Accreditation & Certification (EDAC) program. We work closely with the design community, supporting their desire to become accredited and certified. This includes offering webinars, networking events, and more.